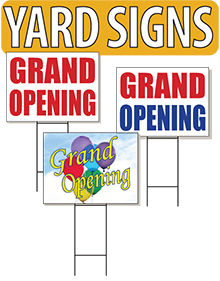 Whether it's a garage sale, grand opening, or political campaign yard signs have always been there to spread the word. 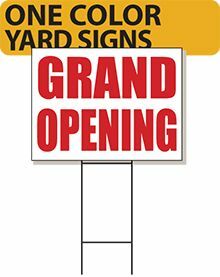 Constructed of durable, all-weather 3/16" thick white corrugated plastic sheeting, our signs will stick around for any occasion. 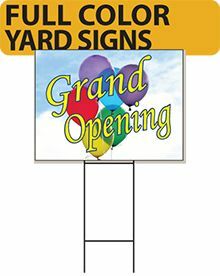 Let us know if you are in need of a One, Two, or Full Color sign and we can create it! Corrugated Yard Signs24" x 18"